In January 2019, Council and Parliament concluded their trialogue negotiations on the Digital Content Directive. This directive provides for an EU contract law framework covering sale and provision of digital content (e.g. music, films, games, software, digital services, etc). It extends consumer rights to free online services. You can find the press release from the European Parliament here. In January 2019, the IMCO (Internal market and consumer protection) Committee in the European Parliament has adopted its report on the proposal for modernisation of consumer rules, also called the Omnibus proposal (New Deal for Consumers) – you can find the press releases here. The IMCO Committee also approved the mandate to enter into negotiations with Council. 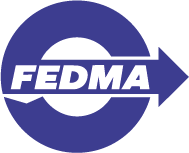 Ahead of the vote, FEDMA joined a statement co-signed by 11 different business organisations so as to strengthen the important messages. You can find the letter here. Commissioner Jourova expressed her satisfaction regarding the vote on the New deal for consumers omnibus proposal and the end of trialogue for the Digital Content Directive. On representation action and collective redress, the other New Deal for Consumer proposal, Ms Jourova will urge the Council to advance. She is confident that an EU collective redress system will soon be adopted.